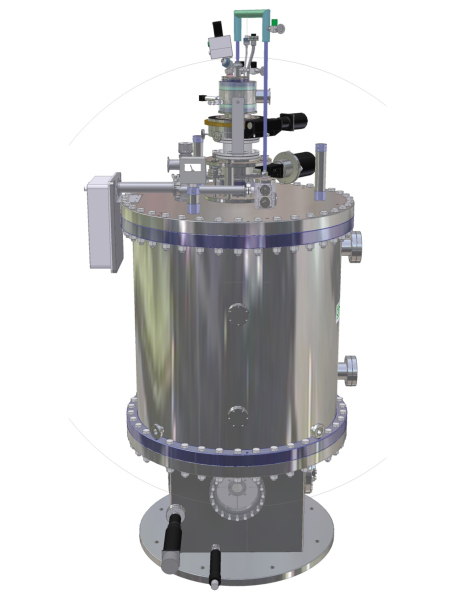 Our range of UHV magnet systems for x-ray beamline applications offers the highest performance specifications currently available combined with an unparalleled degree of flexibility ensuring that the system is tailored precisely to the requirements of the user facility. 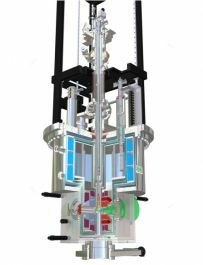 All magnets are delivered with full UHV specification cryostats guaranteeing pressures in the 10-10 mbar range. 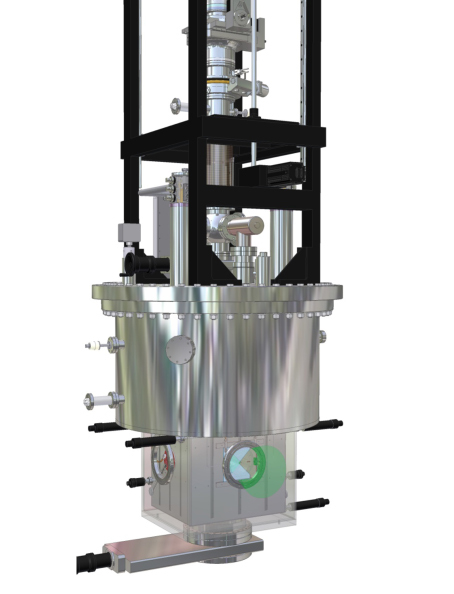 CF-ports on the compact magnet housing provide 4-way access to the sample position in the horizontal-plane. 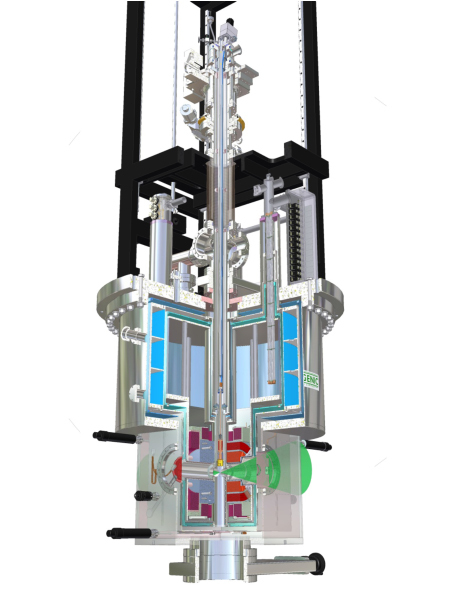 At Cryogenic Ltd we understand that for synchrotron applications speed is of the essence and therefore we are proud to offer the highest magnet-ramp rates currently available for this type of system for example 8 tesla/minute sweep-rate for a 9T split-pair magnet. 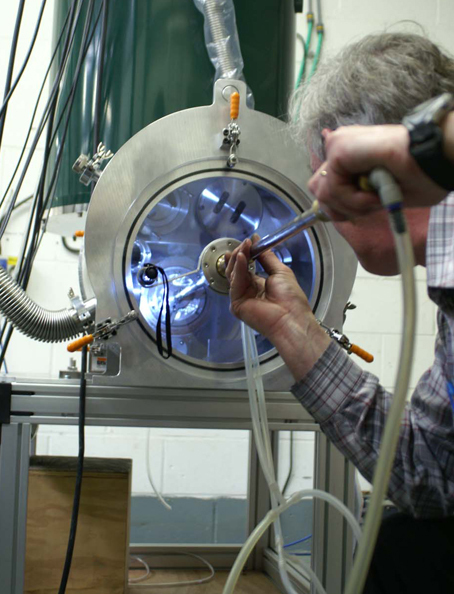 This ethos extends to our VTI’s which offer a sub 30 minute cooldown/warm-up time between base temperature and room temperature. 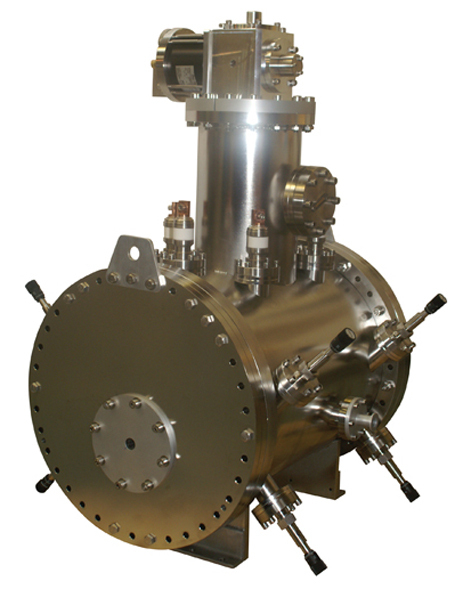 Our especially designed UHV-VTI has an in-vacuum cold-finger (with in-built electrical isolation stage if required) facilitating rapid sample exchange through the lower port of the cryostat. 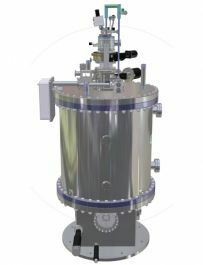 The VTI has a temperature range of 1.5K-400K as standard and has no internal link to the cryostat allowing rotational and translational degrees of freedom. 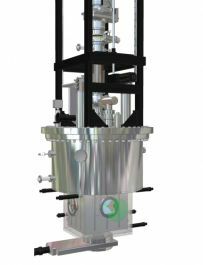 We are able to offer a full suite of automated manipulation options including x-y table, long travel z-axis movement and =/- 180 rotation. 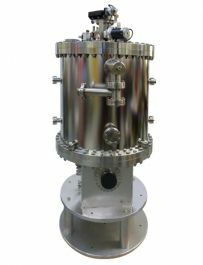 Available options include vector magnets (2D or 3D as required), alternative inserts including 3He, and in vacuum sliding-shutters for beam manipulation and custom-made bake-out solutions. 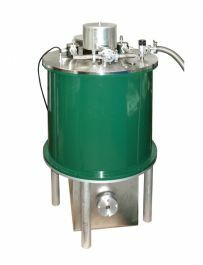 Full pumping and vacuum management system is offered as standard. Separate helium re-condensing units or totally cryogen-free solutions are also available. 4-way access to the sample position in the horizontal-plane.